Waiting on Wednesday is a weekly feature of the Breaking the Spine blog. July is here . . . and I'm back from my mini-break with a suggestion for summer reading . . .
From Goodreads: Raised in a poor yet genteel household, Rachel Woodley is working in France as a governess when she receives news that her mother has died, suddenly. Grief-stricken, she returns to the small town in England where she was raised to clear out the cottage...and finds a cutting from a London society magazine, with a photograph of her supposedly deceased father dated all of three month before. He's an earl, respected and influential, and he is standing with another daughter-his legitimate daughter. Which makes Rachel...not legitimate. Everything she thought she knew about herself and her past-even her very name-is a lie. 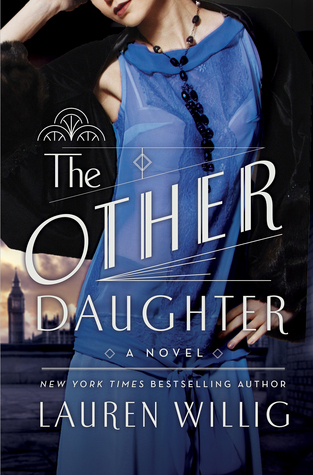 From Lauren Willig, author of the New York Times bestselling novel The Ashford Affair, comes The Other Daughter, a page-turner full of deceit, passion, and revenge. ...Will you add this one to your list of must-reads?